There are three things I want to see before the Big Four comes to an end. The first one is wishful thinking. The second one hasn’t ever happened, and could happen in the near future, and the third in the immediate future. Rafael Nadal, Novak Djokovic and Roger Federer have had significant and career defining rivalries. Murray has had significant rivalries with Federer and Djokovic (albeit lopsided). However, the Murray – Nadal rivalry has never been spoken about, even though they have met 24 times. Surprising, right? What’s a little more surprising is that Murray and Nadal have never met in a slam final. In a rivalry among (arguably) the best four players of our sport, this rivalry hasn’t been keenly followed or spoken about. They’ve met 24 times, with Nadal winning 17 times. Lopsided, not spoken about and forgotten. In an era where the top three have had gritty rivalries against each other which have defined their careers, this has had nearly no significance. Add to the fact that they’ve never met in a Grand Slam Final. There’s a lot missing. And they could finally meet this Sunday. The significance of it is huge. Nadal chasing his third La Decima and a chance to make history. Murray winning his first French Open, and if against Nadal, against the best clay court player tennis has ever known. Does Murray even stand a chance? Do not underestimate Murray. Everyone pitted him to lose in the early rounds in the French, Murray himself stating that everyone seems to be underestimating him. He proved himself right and he’s in the semi final, after winning matches in a pretty difficult draw. Yes, his serve is pretty horrible. He’s at least a step slower. But he’s made it this far. He’s number one in the world. A pretty disappointing number one so far, but number one nonetheless. Also, the last meeting between the two was in Madrid, where Murray defeated Nadal in straight sets. That Nadal wasn’t the same Nadal and was suffering from injuries, but even that Nadal is one of the best players in the world on clay. 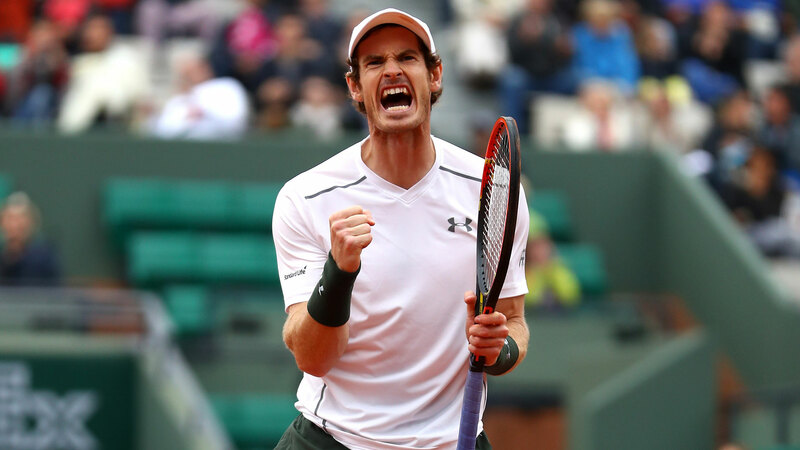 Murray has what it takes to beat Nadal, but can he execute it the way he needs to? And if the 2017 tennis season has taught us anything, it’s that impossible things can happen. Federer winning a slam against Nadal after a 6 month layoff? Get out. Djokovic and Murray winning two titles combined? Impossible. Federer will use his lovely Mercedes-Benz and drive it off a cliff, maybe. On a more serious note, Murray would now be very seriously considered as a member of the Big Four. Many have doubted his calibre and capability and achievements to be considered as a member of the Big Four. A win at the French as a player who was never particularly good at it, over the best clay court player to have ever played would definitely mean that he wouldn’t be shrugged off. He’ll also join an elite duo of people to have beaten Nadal at the French (Soderling and Djokovic). He’ll be the only person to have ever defeated Nadal in a French Open final. More than that, their rivalry would be considered more seriously, bringing the Big Four’s rivalry against each other in full circle. La Decima. The only player to win a slam ten times. Stamping his dominance on clay more firmly. This is pretty self explanatory. As a casual fan of Murray, I really hope he at least gives a proper fight, if he reaches the final (and Nadal too).